Comprising of “white sand”, and ranked as the “7th best in the world” by the famous “TIME” magazine, this beautiful beach named Radhanagar is located in the Andaman and Nicobar islands. 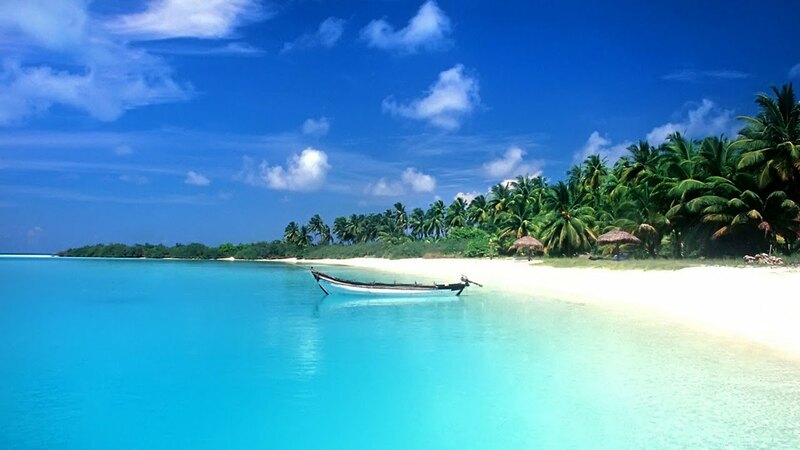 Situated on the “Havelock Island” (considered to be the largest in the “Andaman” region) this beautiful beach is known for its clear turquoise blue sea water and comprises of an atmosphere that is filled with serenity. Furthermore, it is not a huge beach and is about 2 km in length and 30-40 meters in width. Furthermore, this beach is surrounded by lush green pine trees. Considered to be extremely “clean and serene” Cavelossim is a beach located in South Goa. Apart from its natural beauty and pristine atmosphere this beach is renowned for a number of “shacks” that provide authentic Goa seafood that too at a reasonable price. Furthermore, in close proximity to this beach there are a number of luxurious beach resorts that are extremely popular. It is also known for water sporting activities such as wind surfing, jet skiing, speed boat rides, parasailing, banana boat rides, and bumper rides. In “God’s own country” (i.e. the south Indian state Kerala) the Varkala Beach is known for its exquisite picturesque beauty. Located in the city of Thiruvananthapuram it is known for its pristine atmosphere, and is surrounded by a cliff. In addition, it also comprises of a large number of coconut palms, shacks, and also a few shops. Furthermore, during late March early April a temple festival is celebrated at this beach. It also provides for magnificent views of the setting sun. Situated in close proximity to the capital of Kerala Thiruvananthapuram, is a serene beach known as Kovalam. Renowned for its pristine atmosphere this beach has apparently been popular with tourists since the 1930’s. Furthermore, this beach is popular for activities such as sunbathing, swimming, herbal toning body massages, and catamaran cruises. In addition, this beach is also surrounded by a number of five star as well as budget hotels, quality restaurants and cafeterias basically serving delicious South Indian delicacies. Situated in the “Pernem” taluka in North Goa is the beautiful Mandrem Beach. Comprising of “white sand and clear blue sea water” this beach is renowned for its serene atmosphere. Furthermore, the true beauty of this beach can be witnessed during the high tide when the sea water rushes into the river located in close proximity. In addition, Mandrem Beach is located in between the Ashwem and Arambol beaches respectively. Considered to be “one of the most popular beaches in North Goa” is the extremely scenic Baga Beach. This beach is basically a part of a stretch that includes other beaches such as Sinquerim, Candolim, and Calangute. Furthermore, apart from its picturesque beauty this beach is also renowned for water sports such as parasailing, banana rides, and dolphin cruises. In addition, this beach is extremely popular with foreign tourists. Located in close proximity to the city of Panaji, is an extremely scenic beach known as Candolim This beach begins at Fort Aguada and eventually merges with the Calangute Beach. Apart from the overall scenic beauty this beach is also known for comprising of a number of “scrub covered dunes” In addition, this beach is renowned for the “serenity” radiated by its atmosphere. Furthermore, this beach is supposed to be among the “longest beaches in Goa”. Considered to be “isolated” is a beach in Goa known as Cola. Frequently referred to also as “Khola” this beach is renowned mainly for its picturesque and pristine beauty. Furthermore, the serene atmosphere that surrounds this beach acts as an ideal spot for any individual looking for complete relaxation away from the “hustle and bustle” of the stressful city life. In addition, this beach comprises of a number of palm trees which only serves to add more charm to the scenic surrounding. “Long, lonely, fringed with palms and casuarinas” would be the apt way to describe the beautiful Agonda Beach located in South Goa. It is also situated at a distance of about 9.2 km from the Palolem Beach. Furthermore, this scenic beach comprises of “white sand” and is surrounded by beautiful palm trees. In addition, during the month of September this beach serves as a “nesting” ground for the “Olive Ridley sea turtle” species. Located along the coast of Bay of Bengal is an extremely picturesque beach known as Rushikonda. Situated at a distance of just 8 km from Vishakhapatnam in Andhra Pradesh this beach is known for its scenic beauty. Furthermore, this beach is also known for its “water sports” which is extremely popular with tourists.